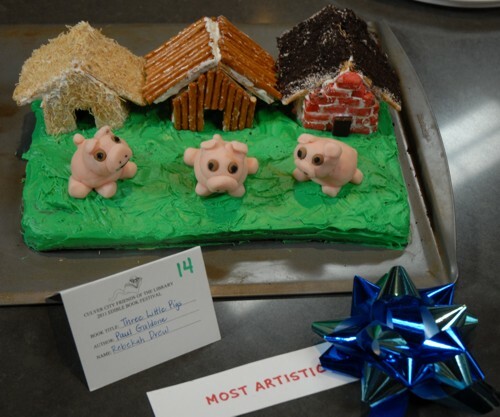 Welcome to the Culver City Friends of the Library website! 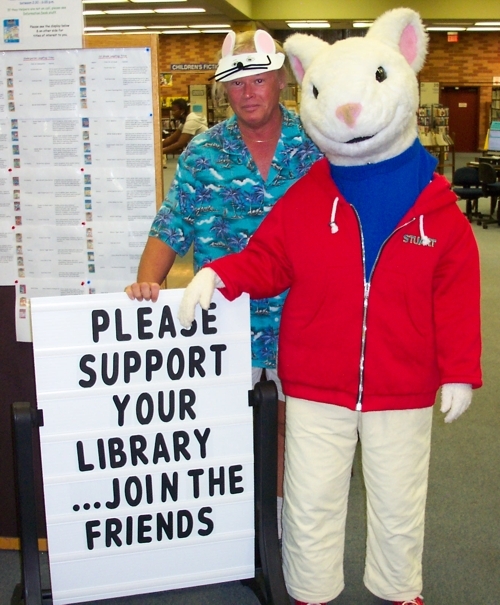 The Friends are a group of volunteers dedicated to supporting the Culver City Julian Dixon Library. Your support enables the Culver City Julian Dixon Library to enrich its resources, enhance its services, and expand its programs to maximize the Library's role and usefulness in the community. Hundreds of quality, children's used books will be available for sale at bargain prices this Saturday, April 27, in the lobby of the Culver City Julian Dixon Library. We have a wide and wonderful selection of children's books available for purchase from board books for the youngest through novels for young adults and every age in between. There will be a large amount of books in exceptionally nice condition at this sale. Many books are in nearly new condition, some are even brand new, and will be certain to make their new owners very happy! This pop up sale will begin at 11 am and end promptly at 1 pm. Cash or checks only. All proceeds benefit our library. 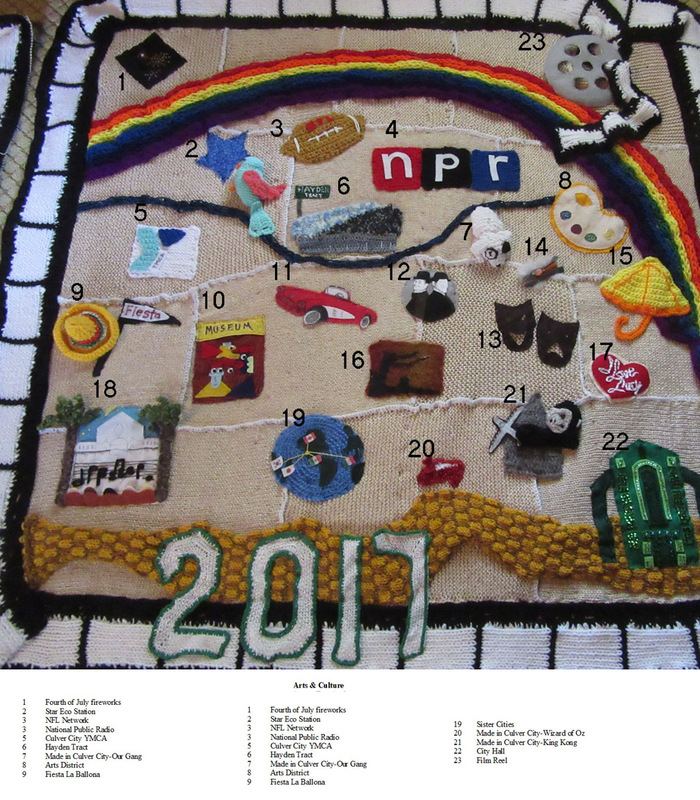 This project commemorates the Centennial through various forms of fiber art by portraying some of the iconic aspects of Culver City, past and present. More than thirty members of the community, ages 8 to 80, collaborated in the creation of this wall hanging, which commenced in May and was sponsored by CCFOL. 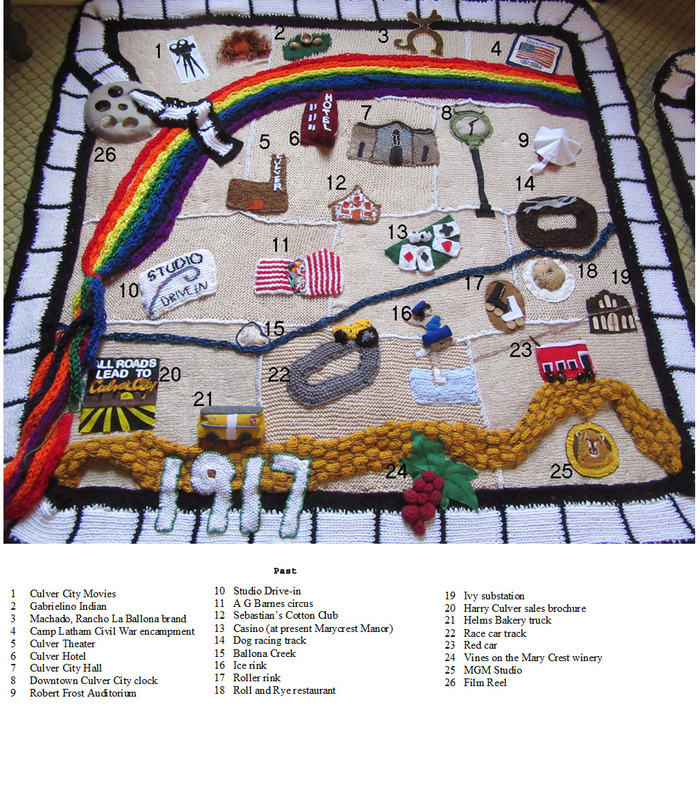 It was inspired by the California Yarnscapes project of Yarn Bombing LA that was displayed at the Autry Museum last spring, and attempts to depict some of the history and locales that are dear to the hearts of Culver City residents. The main panel was displayed at City Hall on September 20, as part of the Culver City Birthday Party. 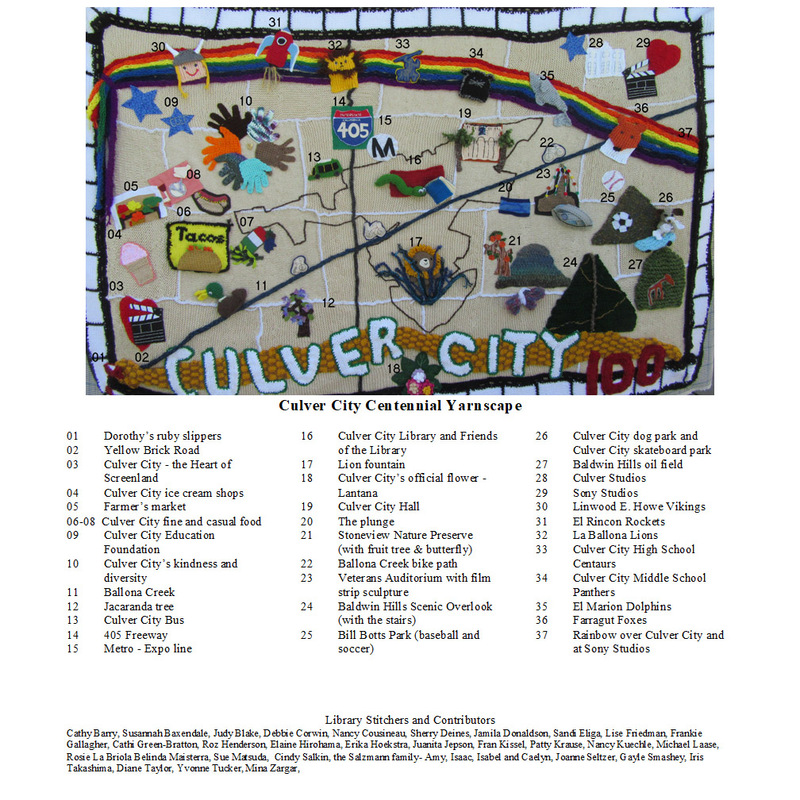 The two flanking panels depict some of the past history of Culver City, even prior to the incorporation of the city, and some of the arts, activities, films and TV shows that have been part of the city. A legend, explaining the various components will be available at the library as well. The main panel is 5'x7', and the two additional panels are approximately 5' square. Violet Fritz, Winner of the Best Actress award. Discover & Go is a partnership between libraries and cultural institutions. With a LA County Library card, you can reserve FREE family passes to local museums and cultural attractions through the Discover & Go online portal. Click here for the original photo not sized to fit. Click here to see the entire 7 page collection of "Edible Books 2011"
Click here to see photos of the CCFOL knitting class. Click here for the Whip Cream Butter Cream Icing recipe. 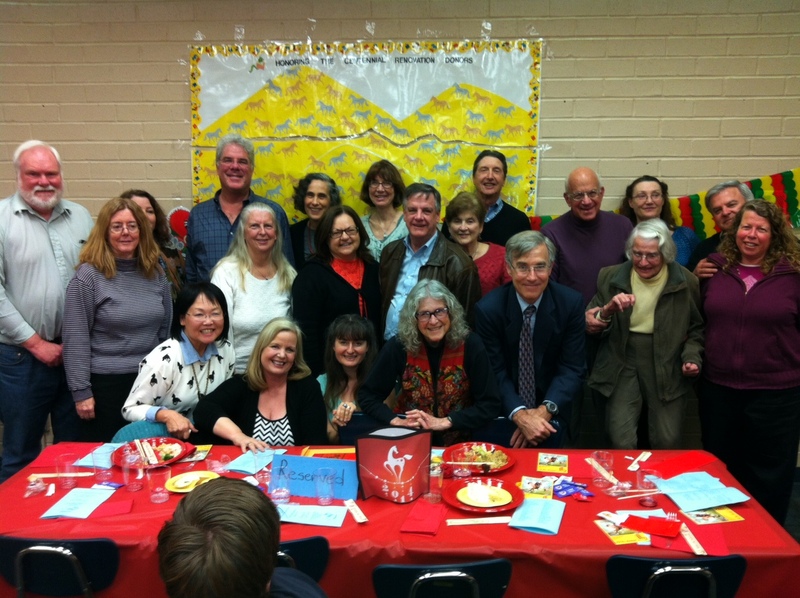 Click here to see the Culver City Friends of the Library knitting class photos. The Culver City Julian Dixon Library is located at 4975 Overland Avenue in Culver City. 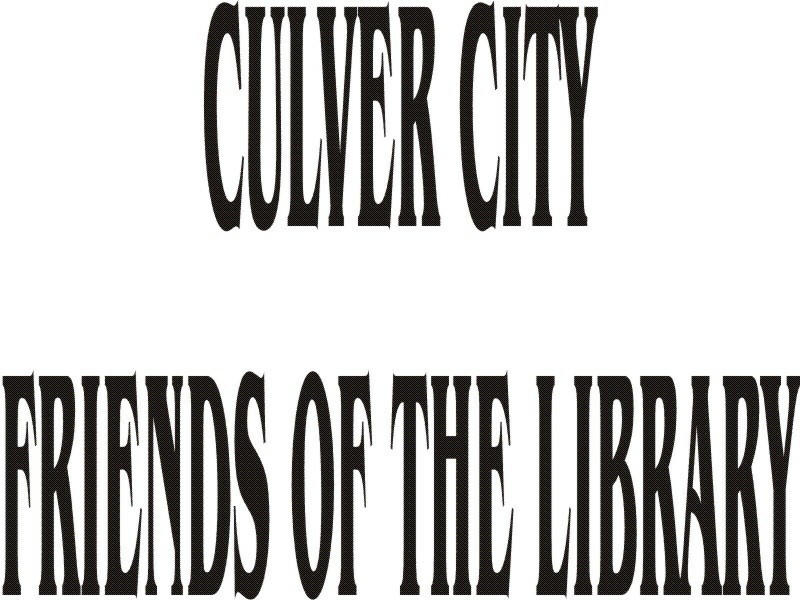 For more information, pick up a flyer at the library or phone, write or email the Culver City Friends of the Library, www.ccfol.org, and (310) 559-1676.